What is early childhood education? It deals with teaching kids by the people other than their family members. According to the US National Association for the Education of Young Children, “early childhood” is defined as children below 8 years old. 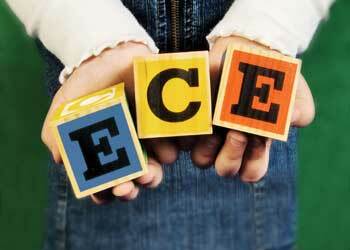 Early childhood education professionals include preschool as well as kindergarten teachers. Curriculum for early childhood education specializations is different for different colleges. It includes fundamentals of early childhood development planning such as incorporating skills of language and literacy development in young children. It also includes developmental psychology. It improves a child’s physical, creative, intellectual, emotional and social development. This is necessary for a child’s overall development. Thus, it is very important for nurturing and developing a child. Education and teachings given in first two years to a child will reflect in his future behavior and nature. Parents should equally pay attention to their children at this age. Hence, schoolanduniversity.com proves to be a guide to college majors in early childhood education. It helps you search for childcare educational resources, match and enroll into the best early childhood education college. You can make your career in ECD by learning from the online early childhood education degree programs. Their responsibility is to take care of children with age group 3 to 5 years. They educate those children who have not started going to school yet. Hence, they prepare them for entering into kindergarten. They teach kids by playing games and rhymes as this is the best way that they understand. They organize different activities for children so that they get to know about their needs and interests. They make schedules in such a way that a child can get enough of playing, resting as well as studying. They interact with kids well enough to know their mind set and problems. They notice and keep a note of children’s progress and routines. They inform about all these things to each child’s parents so that they can take actions for their child’s progress accordingly. They teach students the basics of math, science, reading as well as social skills. They help students to earn about the important concepts and apply them. They stay most of their day in the same classroom. They evaluate students’ strengths and weaknesses. They also monitor their performance and keep parents update about their results. They teach students about social skills and behavior and notice them outside the class. While students are not in class, they prepare notes, check exam papers and meet other teachers. As early childhood education is important for a child’s over all development, there has been increasing demand for preschool as well as kindergarten teachers. Hence, job outlook for preschool and kindergarten teacher may be good. According to bureau of labor statistics, jobs for preschool and kindergarten teachers with bachelor’s degree may be good. Moreover, the retirement of old teachers may create job openings for new teachers. Hence, a career in early childhood education may be a rewarding one. Ideal for: Those who wish to pursue the highest level of academic degree in Education. Ideal for: A graduate who wish to increase their knowledge in learning theories and classroom management. Ideal for: Persons who wants to teach in public and private schools. Associate's Degrees Offered by: Top Education schools and colleges. Ideal for: Those who want to prepare themselves for entry level job position in schools and colleges. Duration: one to two years. Certificates offered by: Education training schools and centers, academy. Ideal for: People who want to gain knowledge industry specific skills.